With the 100-degree temperatures we’ve had lately you can feel that summer is finally here, and if you live near a school you’ll know graduation season is in full swing. With these hallmarks of summer—the school year ending and the temperatures soaring—come other summer pastimes, including lazy days and more time to spend with your dog. But now that summer is here, you might be wondering what activities you can actually do with your best furry friend. Well, wonder no more—I’m going to share with you some of the awesome activities that are waiting for you and your dog this summer. 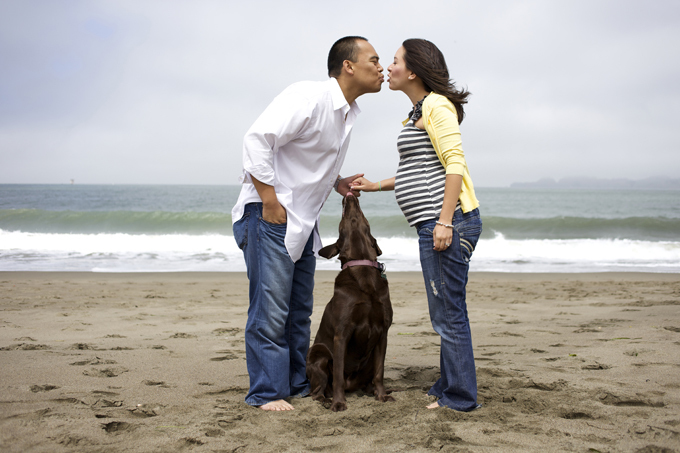 Before we dive in, one caveat: use common sense when you’re taking your dog outside for summertime fun. If the weather is really hot, it’s probably safer and more comfortable for your dog to stay home. Remember never to leave your dog in a vehicle (it can heat up to a dangerous temperature in just a few minutes), and test the pavement with the back of your hand to make sure it’s not too hot for your dog’s paws. By following these tips and using common sense, you can help make sure your dog stays safe and happy through all your summertime fun. 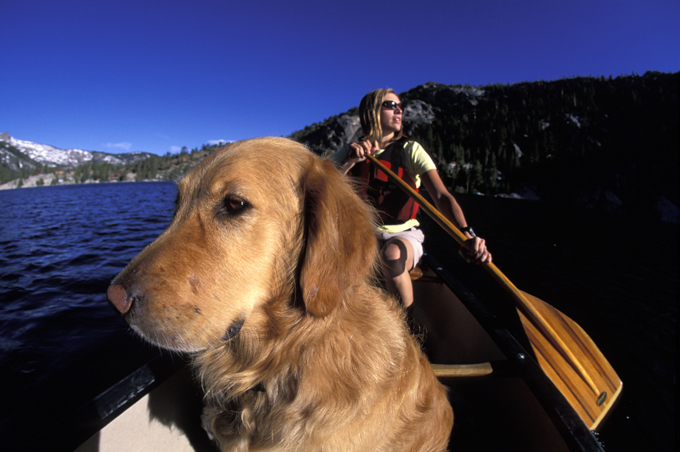 Taking your dog out with you for a day of canoeing can be a fun and rewarding experience for both of you. It’s best to take them where the water is clear and shallow so you can make sure the conditions are optimal for your canine pal. If your dog enjoys swimming, they can take a dip in the water with you to beat the heat. Make sure your dog wears a doggie life vest at all times when they’re on the water. If you have a pool or a place that allows dogs to swim, it’s worth seeing if they love taking a dip. One of our dogs, Motley, absolutely loves swimming, and he’ll happily paddle in lakes, the ocean, and anywhere else there’s a natural body of water (he isn’t a fan of our pool). The other dogs don’t enjoy it as much, but they do like to wade out in shallow stretches of water. Some dogs really love to swim, and some don’t. If you decide to take your buddy swimming, watch them to make sure they’re having fun and staying safe—you should never force your dog to swim if they’re scared or reluctant. If your dog loves to splash around but doesn’t like the idea of a full-on swim, bringing out a Kiddie Pool might be the perfect afternoon activity for them. The Kiddie Pool provides a safe, non-intimidating place where they can get wet and cool off, stress-free. Keep in mind that, while water activities can be a lot of fun for you and your dog, you should keep a close eye on your dog and make sure they aren’t taking in more water than their body can handle. This can lead to water intoxication, which can be fatal. In particular, water intoxication can happen when dogs swallow too much water while swimming, playing in the ocean, or playing with a hose or sprinkler. Just last weekend, we took our 3 dogs camping in Anza-Borrego in Southern California. We had a blast, and the dogs loved being out with us (hearing the coyotes howling was especially exciting for them). There are lots of campsites that allow dogs. 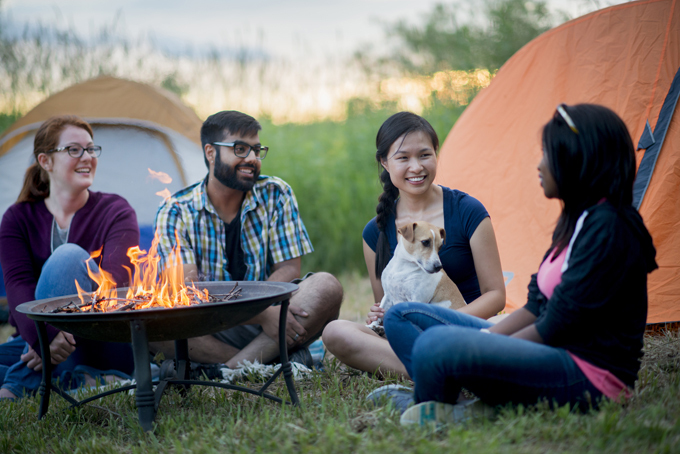 Be sure to check the regulations before you go (for instance, some campsites allow dogs in the campsite, but not on the trails), and obey all leash laws. 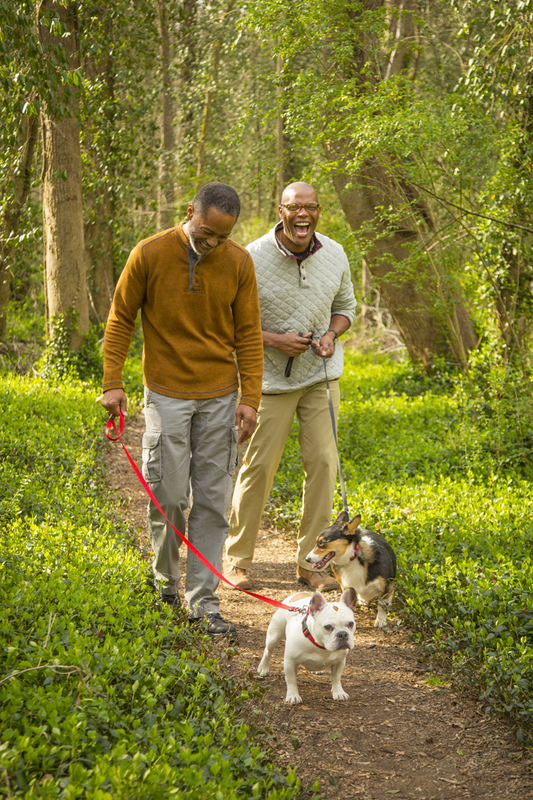 Going for walks or hikes can be really fun for you and your dog, particularly if it’s a normal part of your routine. Aim to walk or hike early in the morning or later in the evening when temperatures are cooler so nobody gets too hot. There’s nothing better than a drive-in movie, unless it’s a drive-in movie with your dog. Make sure to bring species-appropriate snacks for your dog, along with fresh water. You can go to driveintheater.com to find drive-in movies close to you. One of my favorite things to do in the summer (or anytime of year) is go to wineries. There are a lot of wineries that allow dogs—call ahead to see if you can bring your pooch with you. I have some amazing memories of taking my English Shepherd with me when I went wine tasting with friends. Just remember to pack some fresh water and species-appropriate snacks for your dog, then hop in the car and go sip delicious wine in the company of your best friend. Here’s one I haven’t tried yet, but I’m going to! 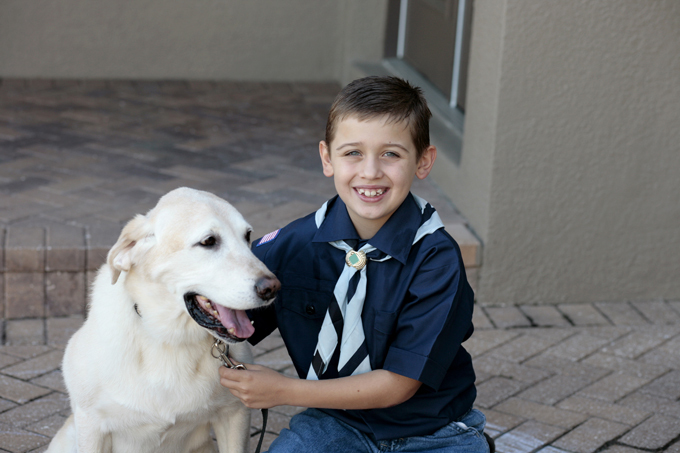 Like kids with Boy Scouts and Girl Scouts, your dog can earn badges as a Pup Scout (PupScouts are only for dogs and their parents). Dogs can earn badges for hiking, beach clean-up, arts and crafts, swimming, and more. Check it out at pupscouts.org. Lots of baseball franchises are sponsoring Bark in the Park. 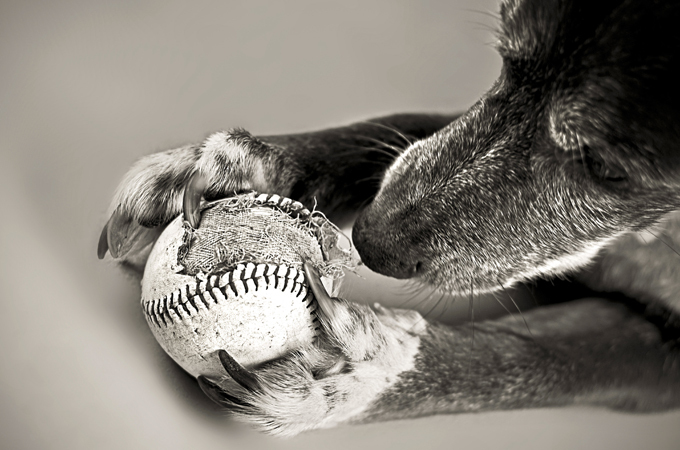 Check out dog-friendly baseball games at gopetfriendly.com. 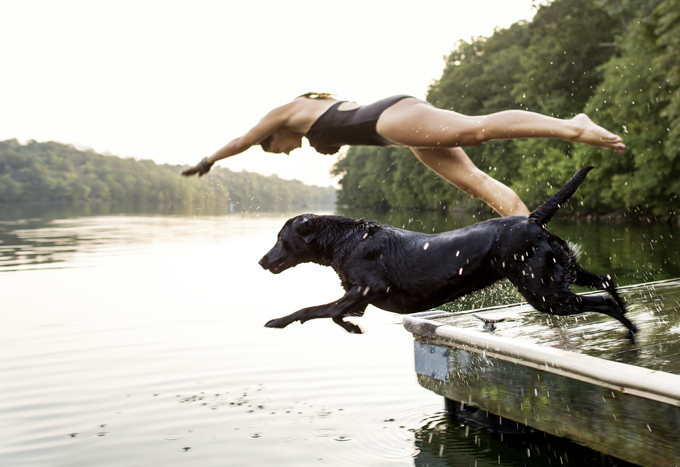 So there you have it: 10 awesome activities you and your dog can both enjoy this summer! Now that the weather is getting warm, what are you waiting for? Get your pup and head out for summertime adventures!